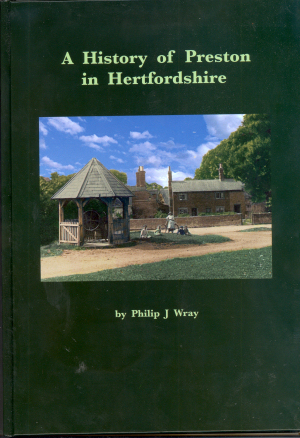 Philip has done an excellent job in bringing together different aspects of the history of Preston, a tiny village near Hitchin. He first became interested when researching his ancestors and as his family tree grew he discovered he was a blood relative to almost half the villagers listed in the 1881 census. 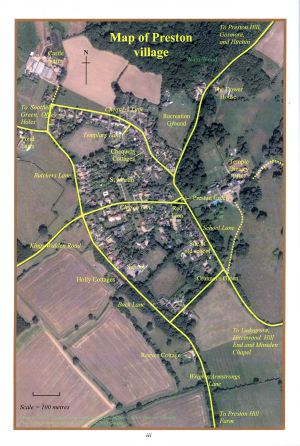 For this reason he expanded his interests to cover the whole village, and in 2007 he launched the History of Preston in Hertfordshire web site. He then ventured into on-paper publishing and has now ended up writing this book. As an outsider - who has little direct knowledge of the village - I have learnt a lot about the place by looking at the book, especially relating to the involvement of the Knights Templers and Temple Dinsley. Where I have first hand knowledge - such as the section on straw plaiting in Hertfordshire - I am impressed by the care and thoroughness of the way the subject is treated. I also liked the biographies of Preston men who fought and sometimes died in the First World War. Philip has put a significant amount of hard work into the research and if your ancestors came from Preston you will find much to interest you. 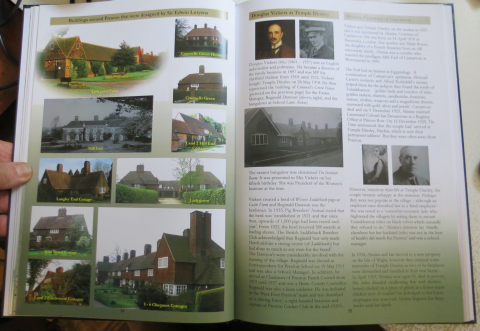 In addition the general presentation of the book is excellent - with plenty of pictures - in colour where possible - and an easy layout which helps you to find your way around - helped by a useful index, with many personal names. The technology for amateur desktop publishing has moved on enormously since I produced my The London Gunners come to Town in 1995 and Philip's book is an excellent example of what can be done with the latest technology. The fact that the book is backed by a very good web site - is a great advantage as I am sure Philip will find that once you a book has been printed new information will turn up - and where appropriate this can be made available online. Click here for more information about the book - including the table of contents, reviews of the book, and purchasing onformation.